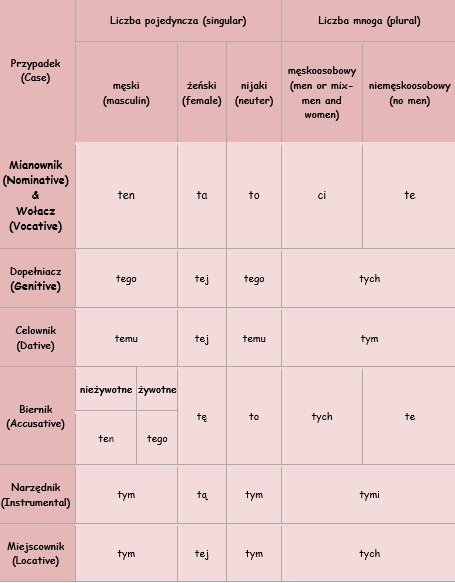 Below you will find 2 tables with demonstratives in Polish and exercises. Second table we use when we talk about or point the person, object or concept which are not close (->there). Conjugation is analogical: we just have to add prefix „tam-” (exeption: female singular in accusative form: tamtą). Are you ready to practise now? Here you have some exercises and key in pdf. 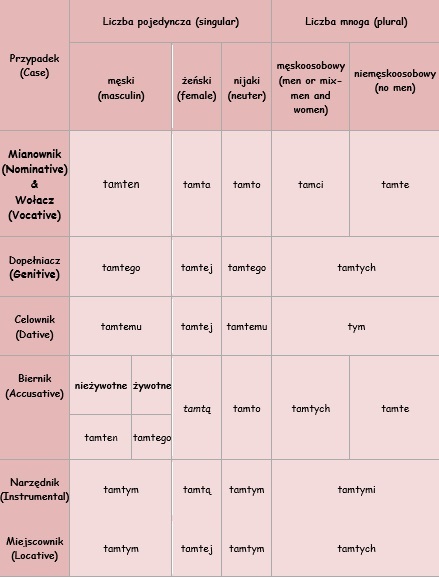 Poprzedni wpisB1 (intermediate – lower) Czy Facebook przeszkadza nam cieszyć się życiem?